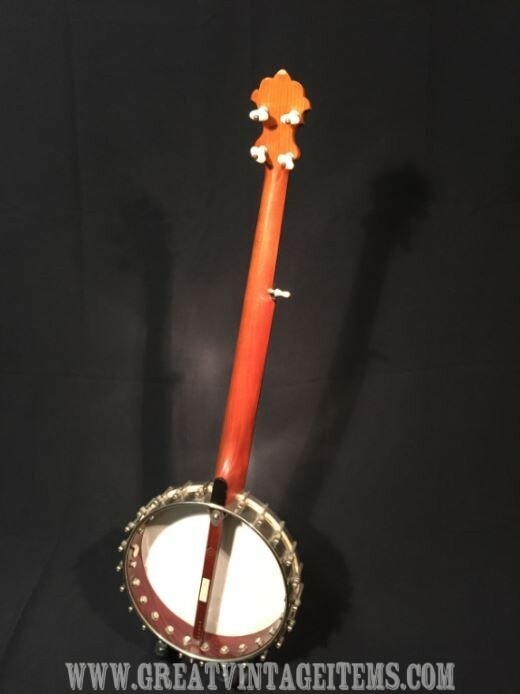 SS Stewart Special Banjo from 1894 in very good condition SS Stewart made the “Specialty Banjo” style name “Special Banjo” to his own specification initially. It had minimal elaboration and was designed for professional players. This one is a lot more elaborate and must have been specified by the first owner. 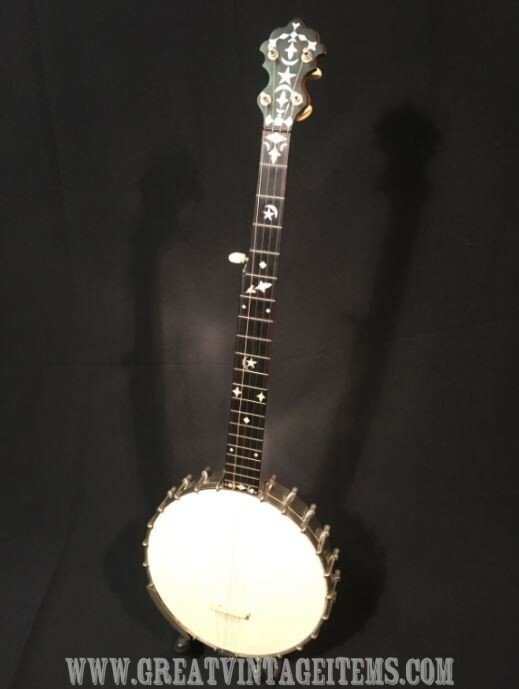 The 22 frets, covering 3 Octaves, were designed to be used in the Key of D when used professionally, but could be used in the Key of C like all the other banjos. 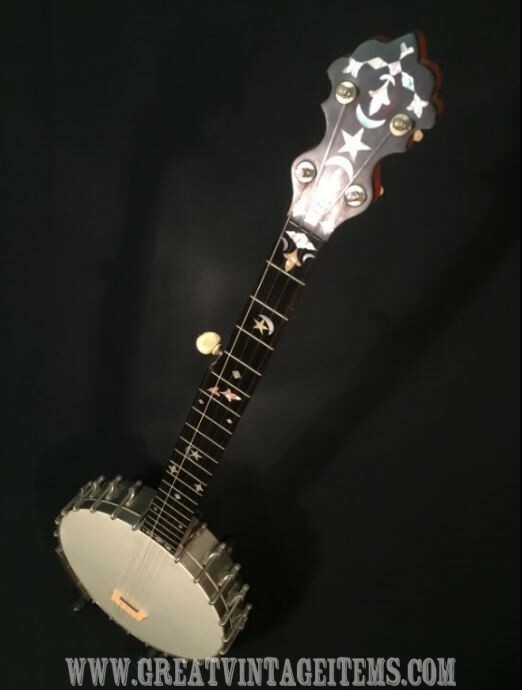 It was constructed for concert playing as it has a brilliant tone in D. The Company started making Special banjos for special customers. Not wishing to miss an opportunity, SS Stewart started to make these 10 ½” Rim models for general sale and named them Special on account of the size not being listed in the catalogue. 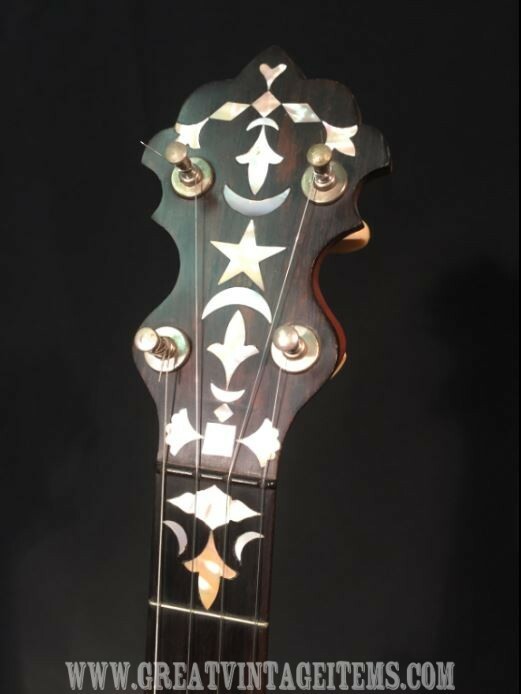 At the time, clients could specify an upgrade to the neck, with much more elaborate inlays. This is one of those upgraded instruments. 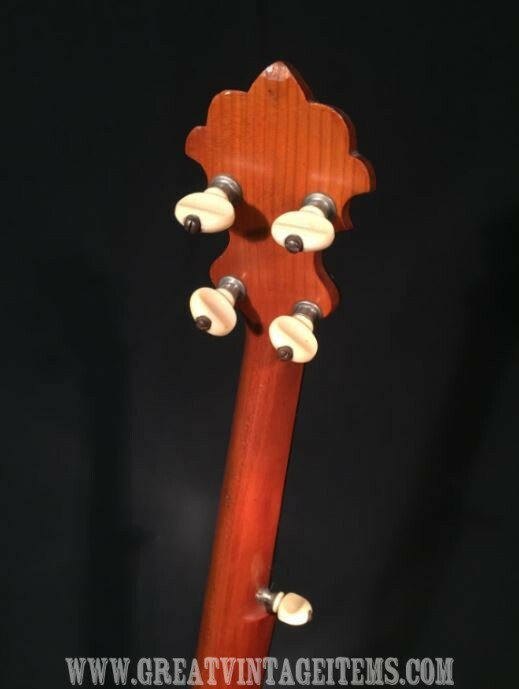 The neck has a beautiful inlay design with the traditional neck heel. The Peg Head is especially beautiful and still has the original patented “Champion Keys”. 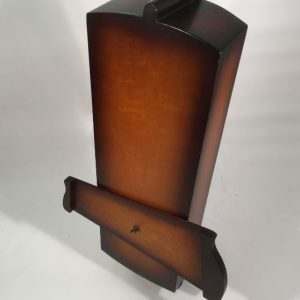 The fingerboard is a thick Ebony veneer with raised frets made from German Silver wire. 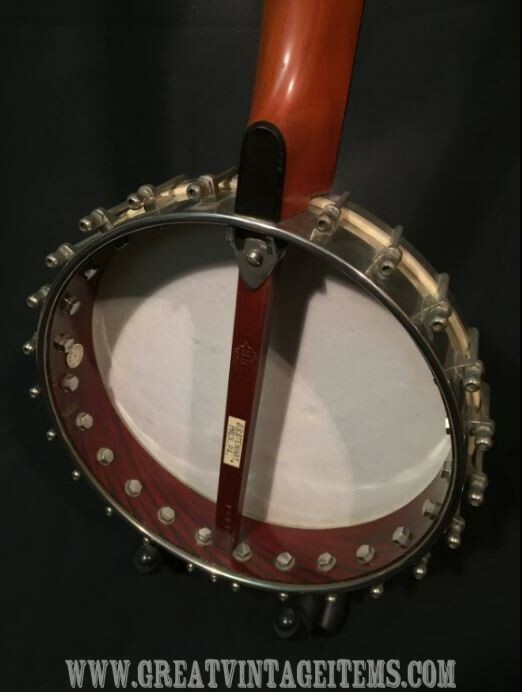 The SS Stewart Special Banjo has a 10 ½” Rim diameter. 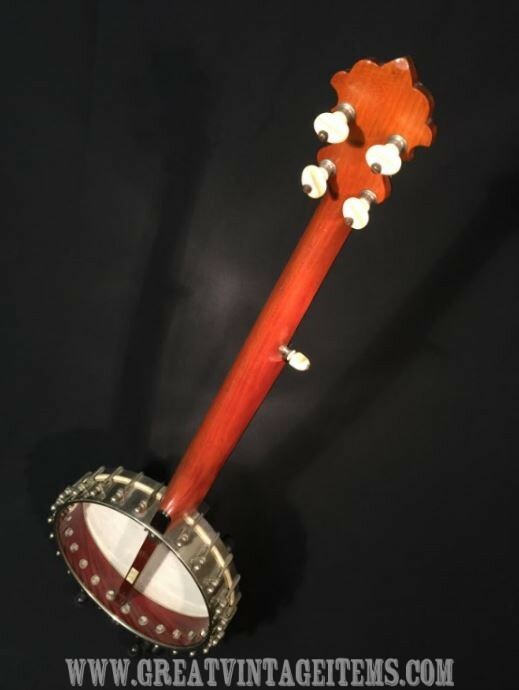 This makes it one of the smaller banjos that the Company made. The Lady Stewart and the American Princess were 9” and 10” but they had shorter necks than the Special. 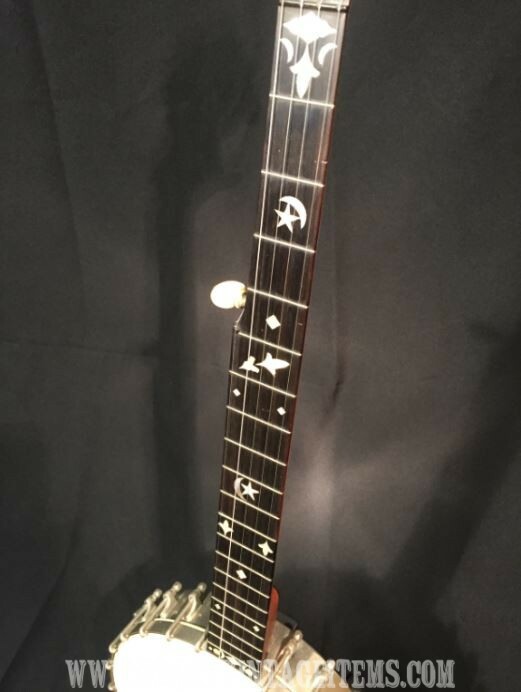 This instrument is a thing of beauty. 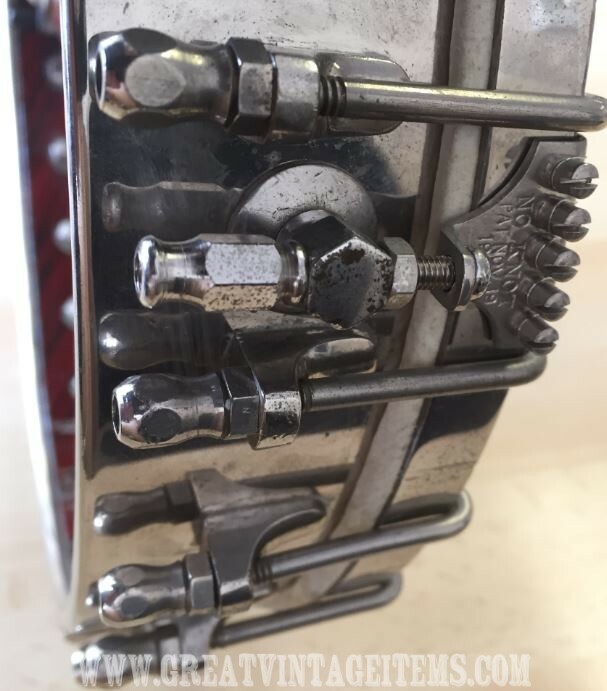 It has 24 brackets and a turned Top Hoop (all Nickel Plated). The rim is made of nickel-plated best German silver as quoted in the original catalogue. The bridge is not an original Stewart fitment. 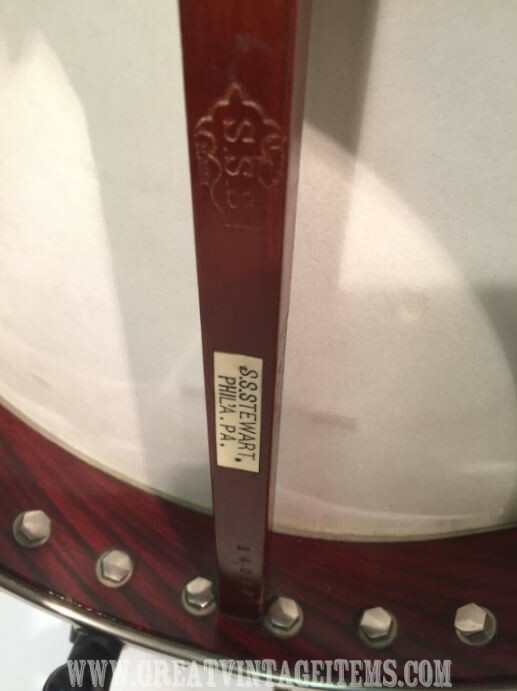 The original tailpiece has an ivory rosette made from walrus tusk. SS Stewart called it the “Common Version”. 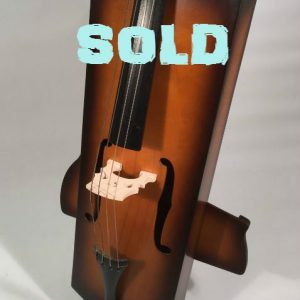 Not many of the original tailpieces survive and they add considerably to the value of the instrument. 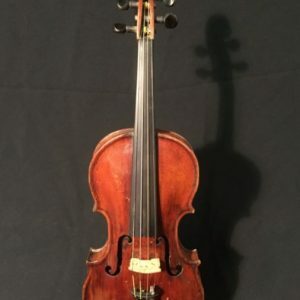 The original is supplied with the instrument, although the string attachment bar is broken. 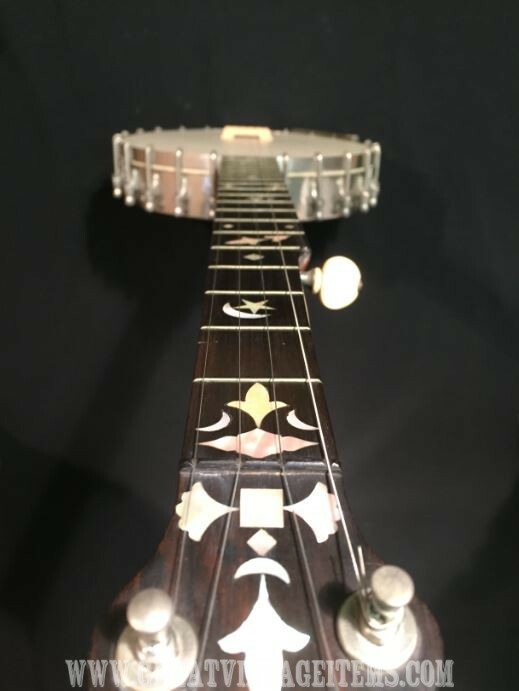 The Banjo is fitted with an appropriate period “No-Knot” tailpiece. 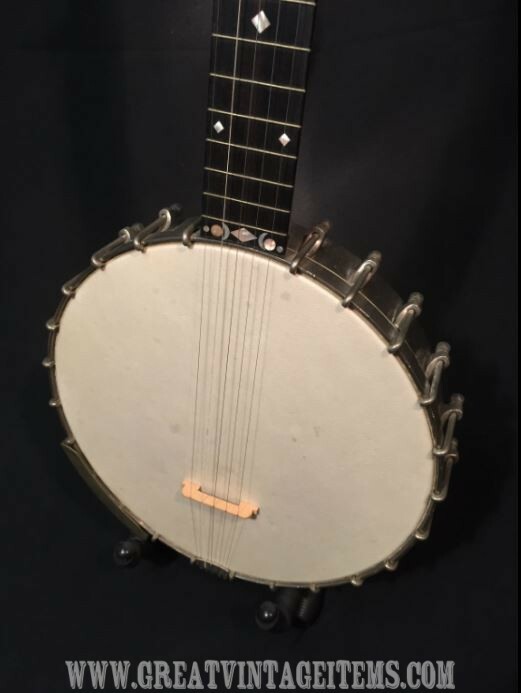 Tuned up to D or down to C, this SS Stewart Special Banjo is a beautiful sounding instrument and of historical importance. The head is in good used condition. 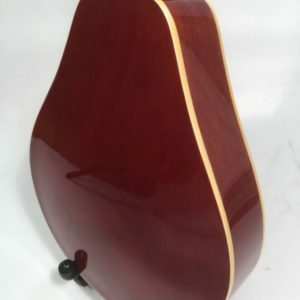 The neck is straight and it plays comfortably. 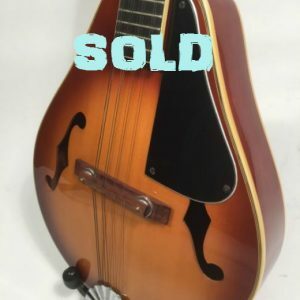 It’s currently set up with steel strings. It was really designed for Aquila Nylgut /Silk type strings. 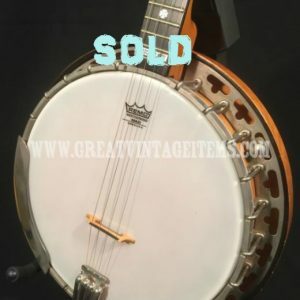 SS Stewart actually voided any warranty if he suspected a client had used steel strings on his banjos! I guess, the warranty is probably out of time now that 123 years have passed! 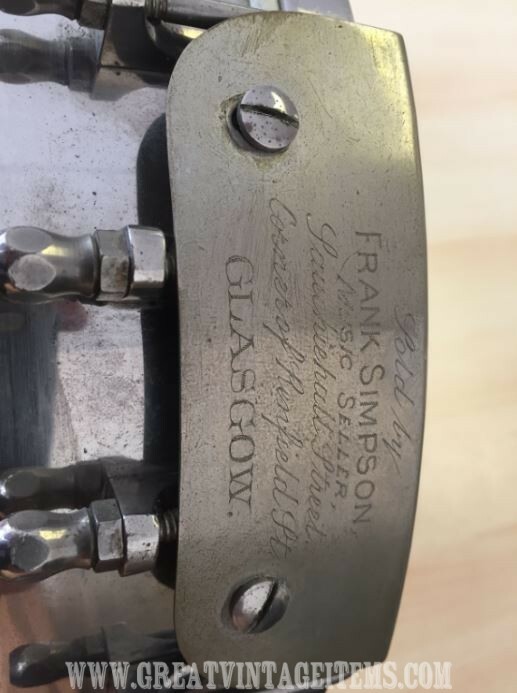 The serial number dates this instrument to 1894, which is just 4 years prior to Mr S Stewart’s demise. 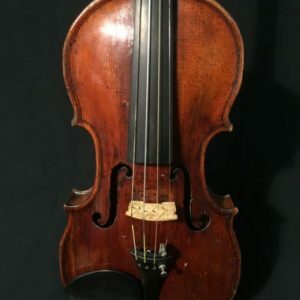 Supplied in a modern case, together with the original Walrus Ivory rosette tailpiece as mentioned above. PART EXCHANGE: Please contact me if you have something to exchange. 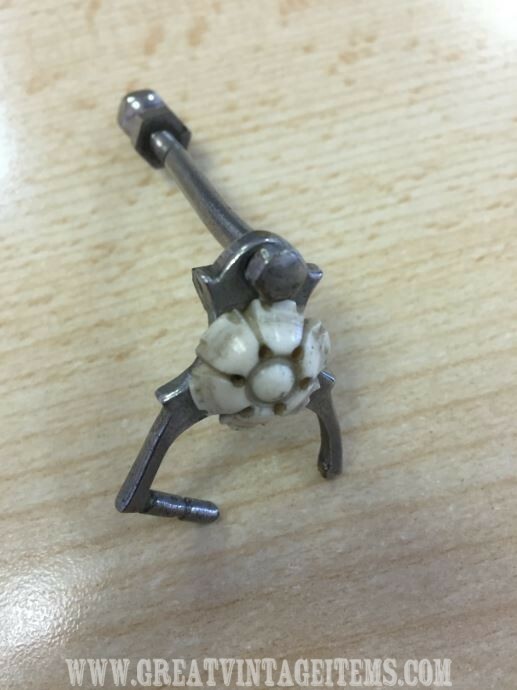 I am interested in un-modified instruments Condition remarks: There is a very small chip at the top of the back of the peg head (see the images). 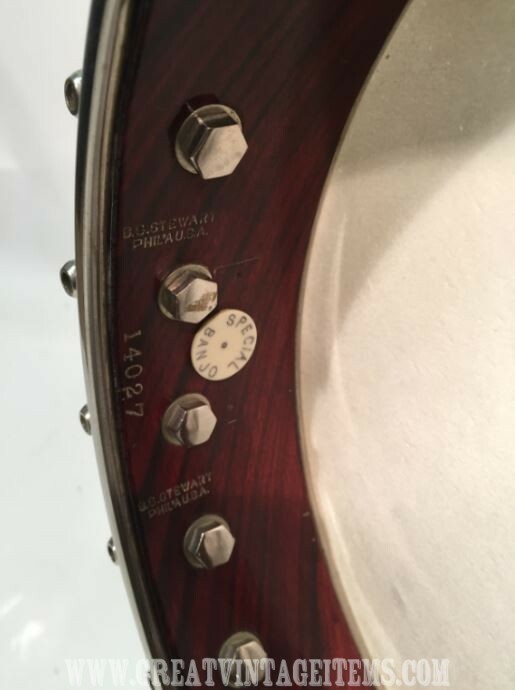 On extremely close inspection, it seems that the instrument has had a neck re-set. 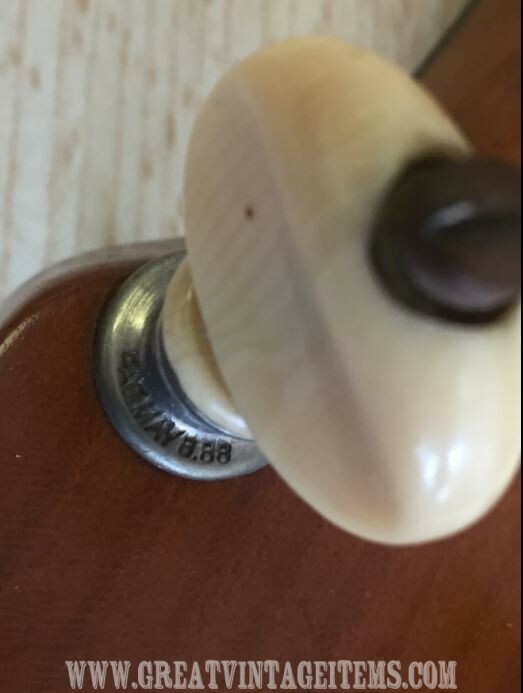 The fingerboard is very clean and the action is very good. There is a very slight bow on the neck. 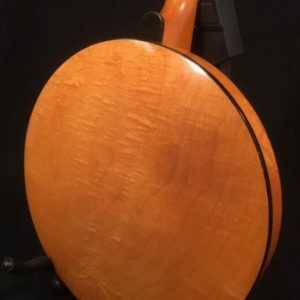 It would probably be kinder to the neck if it was fitted with Nylgut strings, so I’ve slackened off the tension. There is very light pitting as shown in the images.